Having fulfilled most of my hopes for couch surfing via tablet with their iPad, it was too much to hope that Apple would also solve the set-top box problem. This week they announced their latest take on the Apple TV, announced this week amidst their iPod refresh. I was rather disappointed by their new unit. I currently use a Tivo HD and first-generation Apple TV with my HDTV. Having dropped cable TV, I record over-the-air high-definition broadcasts with the Tivo and can also use it to watch Netflix streaming and Amazon Unbox. I can also purchase movies and TV shows on the Apple TV, but I mostly use it for podcasts, music, Flickr, and YouTube. The new Apple TV is a streaming-only device with no local storage, somewhat like a Roku but with movie and TV episode rentals through Apple plus access to your desktop computer’s iTunes library, and some limited ability to interface with an iPod or iPad. It throws in Netflix streaming as well, the service which is becoming ubiquitous, although their streaming movie selection still pales in comparison to what you can get from them on DVD or Blu-Ray. 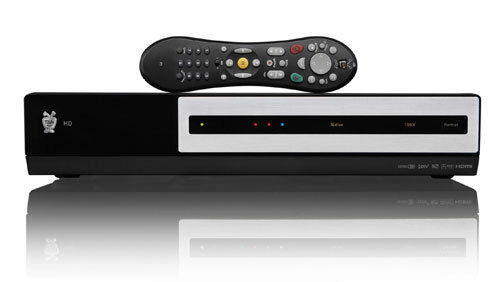 My Tivo HD will be three years old in January and my service contract will expire, meaning I’ll shift to $13 per month to keep it going or have to buy a 1, 2, or 3-year plan to keep it working for reduced rates. I find myself watching fewer and fewer shows on that DVR, making me wonder if there isn’t a cheaper way to time-shift the paltry number of broadcast shows I really want. Google TV is coming, promising to be a set-top box or integrated part of some television sets, with DVR capabilities plus some sort of internet video gateway. If it could act somewhat like a Tivo without a service plan or with a cheaper plan than $13/month, that intrigues me. That isn’t the way Steve Jobs’ hobby is going, however – at least not yet. Perhaps Google TV will spur Apple to add more features, but it appears more likely that the best hope for this sort of functionality is a Mac Mini with Magic Trackpad, if they ever provide iOS support on it. If I could spare $2,000 to replace my 2003 30″ CRT HDTV that lacks HDMI with a big new LCD HDTV and Mac Mini, I’d do it. But my budget won’t absorb that hit, so instead I’ll be taking a close look at Google TV to see if it might be able to replace my Tivo or if I should just pay $13/month to keep the old Tivo going. That along with my iPad and first-generation Apple TV should allow me to carry on inexpensively for another year. UPDATE: In late September a good sale price finally led me to purchase a flat-screen HDTV with HDMI inputs. I’ll probably renew my Tivo subscription, but I’ll definitely take a close look at what Google TV has to offer.